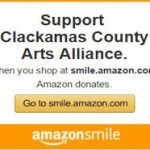 The Clackamas County Arts Alliance and Cultural Coalition have many local, regional and national partners. Throughout our site we highlight many program partners, including arts commissions, artist guilds, cultural organizations, heritage groups and cities. The agency partners listed below help the Arts Alliance and Cultural Coalition deliver funding and programs to the many cities, towns, hamlets, villages and Citizen Planning Organizations in Clackamas County. Clackamas County Tourism & Cultural Affairs department is a key partner in supporting arts, heritage and cultural activities. Their efforts focus on bringing visitors from around the world to enjoy Clackamas County and its many rich offerings. We work together specifically on cultural tourism initiatives. Funding is available for tourism-related projects – visit the Mt. Hood Territory website for more information. Regional Arts & Culture Council provides partial funding support for Arts Alliance programs, services and operations. RACC provides professional development opportunities, grants, and other support to Clackamas County artists and arts organizations. RACC provides key resources to Clackamas County through programs such as Work for Art, benefiting arts access, and the Right Brain Initiative, supporting arts education in many school districts, including North Clackamas. Through a blend of private / public contributions, the Oregon Cultural Trust provides funding to the 45 Cultural & Tribal Coalitions throughout the State of Oregon . The Clackamas County Cultural Coalition distributes an annual allocation from the Trust to arts, heritage and humanities projects and needs throughout the County. The Arts Alliance, a non-profit 501(c)(3), acts as fiscal agent to the Coalition and manages its grantmaking processes. Clackamas County Arts Alliance receives support from the Oregon Arts Commission, a state agency funded by the State of Oregon and the National Endowment for the Arts. 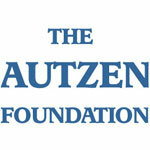 The Autzen Foundation provides funding to support, in part, our Youth Arts for Change. Their operations support a wide range of nonprofits in Oregon, with particular interest in arts, heritage, and humanities programs. 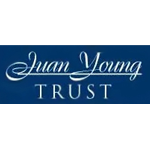 The Juan Young Trust provides partial funding for Youth Arts for Change program expenses, artist leaders and a middle-school prevention project. Their mission is to provide grants to 501(c)(3) organizations that promote the health, education and welfare of children under 21 years old, in the state of Oregon. City of Wilsonville provides Metro Community Enhancement funds in support of an investigation to explore the efficacy of a public investment strategy for Wilsonville arts and culture. 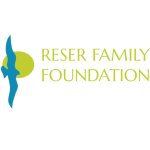 The Reser Family Foundation makes transformational charitable contributions in the areas of the arts, education, environment and health that will result in broad public benefit, primarily in Oregon. Reser Foundation funds partially support Youth Arts for Change programming. 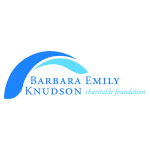 Barbara Emily Knudson Charitable Foundation exists to honor Barbara’s philanthropic goals and vision, providing assistance to non-profit organizations and educational institutions assisting children, families and adults in realizing their basic needs and achieving excellence in their lives. Foundation funds partially support Youth Arts for Change programming. 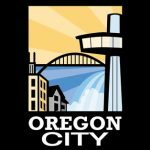 Oregon City – Community Enhancement Grant Program provides an excellent opportunity for the City of Oregon City to support critical neighborhood projects and helps fulfill the community’s vision. This program derives its funding from an intergovernmental agreement between Oregon City and Metro and is generated by a $1.00 per ton surcharge collected at the Metro South Transfer Station on Washington Street. And Numerous Contributions from Individuals Just Like You! 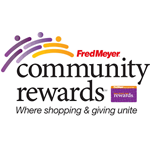 You can help Clackamas County Arts Alliance earn donations just by shopping with your Fred Meyer Rewards Card!